Hope this helps you create better charts in Excel! Keep up the awesome posts. This does not work in Excel 2007. Anyway you could provide these instructions for that? Its essentially the same. Create the new series "Total". Then click into the chart on the new series portion, and add data labels. Format the data labels inside base, then right click the total section and format data series, go into the border tab and click no fill, and voila! Still the maximum value at the y-axis is stuck at the biggest number as there is the total bar. 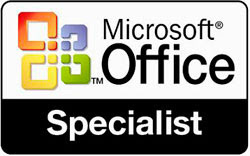 I mean in Office 2007. Simply change the "Total" category to the secondary axis (and then do as you said with the no color, no line, etc). Very helpful, thanks very much! There's a million ways to do anything in excel. One variation I found that gets rid of issues with the scaling, is to select the data set for the total, and then change the graph type (for just that data set) to line. You then have a stacked column and line. You then go to properties and say "no line" and "no color" and you have the same outcome shown here without dealing with the scaling. Is there any way to have the vendor with the largest total always at the bottom of the stack? For example, for week1, the stack order from bottom to top would be vendor 3, then vendor 2, then vendor 1. For week2, the stack order from bottom to top would be vendor 1, then vendor 3, then vendor 2. You would have to sort the columns individually to get that. Wonderful Idea! Worked beautifully and I retained my status as Official Office Computer Nerd. This saved my day. Thanks a lot! Any ideas why some of my 'totals' are not displayed? Im using to display the total figure and % on a stacked bar chart. I have put data labels 'inside base' and the majority are displayed but randomly some are not! Not because they are extremly higher or lower than the other totals and in random positions, the data source is not in a different format or anythig either - very confused! I'm new to this,can and how I post a file? No worries, thanks very much for getting back to me! Thanks! You saved me so much time not having to fiddle around with text boxes. How do you do this is you are working from a pivot table instead of a normal table? Right click on the totals series, choose "Change Series Chart Type" and select the first line graph type. Now, right click on the line, then choose "Format Data Series" then Line Colour and choose "No Line". Finally, choose Format Data Labels, select Label Position "Above". I do not like Excel. I find it easier to manually download a ready-made template with chart and paste it into your presentation. So much easier. I also advise you to do so. On this site you will find ready-made templates http://charts.poweredtemplate.com/powerpoint-diagrams-charts/ppt-powerpoint-education-charts/0/index.html.